preprinted linen- 4 designs with lovely sayings e.g. your friendship warms my heart. 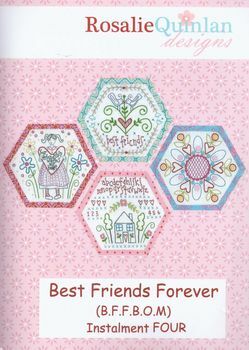 can be cut into squares, circles or hexagons as per pattern.